Our staff has over 50 years combined experience in the behavioral health space. We use this experience in order to help new and existing facilities improve reimbursement rates and develop effective, value-based programs. Because no two facilities are alike, we customize our training to meet our client’s specific needs – from learning how to document for timely reimbursements, to training executive and operational staff on how to grow a profitable, and effective, behavioral health treatment program. One of the most frustrating aspects of running a behavioral health practice is dealing with a myriad of payers, each with their own standards and guidelines for reimbursement. In order to receive timely reimbursements for treatment, it’s necessary to provide the appropriate documentation well within the timeline set by the payer’s guidelines. 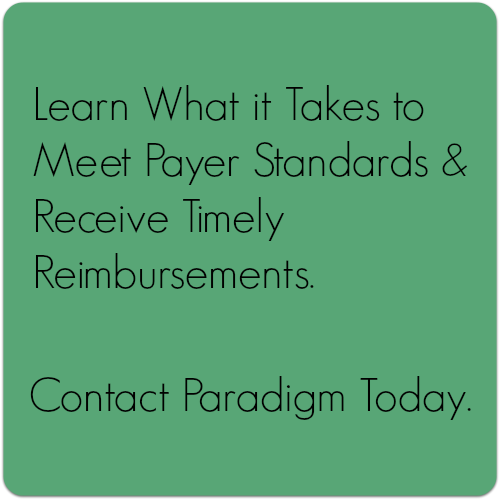 This requires your entire team to be on board with the latest payer standards for treatment and documentation. Our experts work with your facility to train your staff on the best practices for documentation and payer requirements. As part of our ongoing commitment to improving the behavioral health landscape one treatment center at a time, we are available to teach your administrative and operations teams how to both build a treatment program, and maintain compliance with industry standards once your program has been implemented.